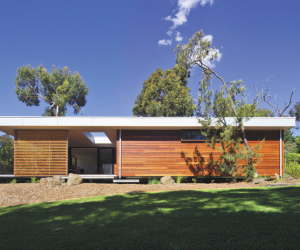 Prebuilt integrates efficient, economical, design-led architecture with Australian modular prefab construction. Whether we are creating a modest country weekender or a landmark home in an expensive street, each of our prefab homes is architect-designed, built undercover and transported in modules across Australia. Common to all is good design and quality construction with a fixed price and completion date. Prebuilt will change your mind about prefabricated houses.